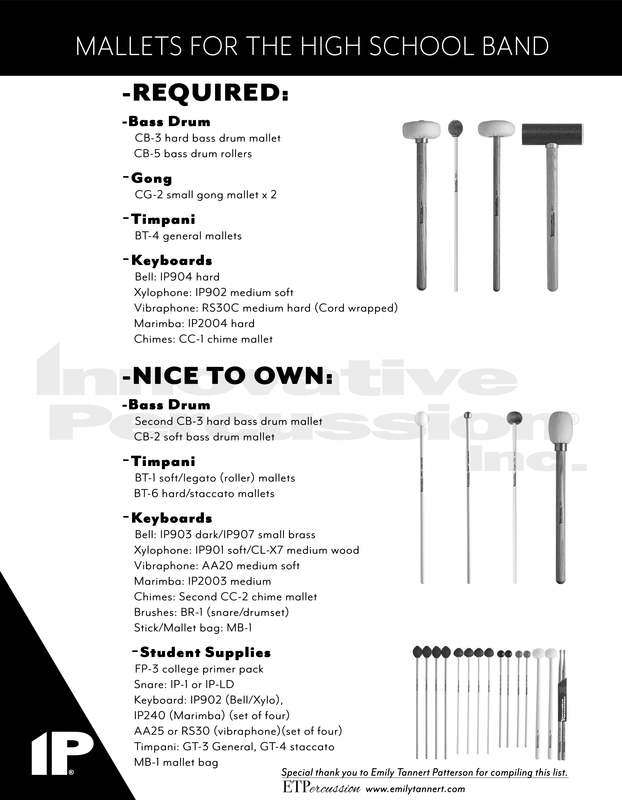 If you are a band director looking for the base level implements you need to outfit your percussion section these lists are for you! We would like to send a special thank you to Emily Tannert Patterson for compiling these lists. 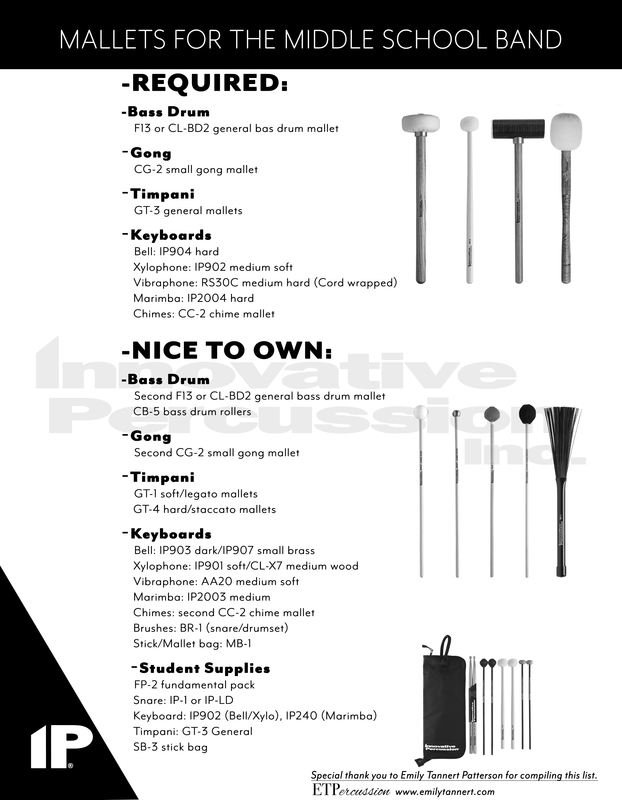 Every summer you look forward to the fresh start that begins with your high school front ensemble. There are new faces, new hopes, new enthusiasm, and new abilities. You sit down to develop a technique program and find yourself asking the question, “How do I write exercises that will warm them up, maintenance their technique, advance their skills and meet all of their individual ability levels?” It’s difficult to come up with a series of exercises that will address all of those things at once. Tell me if this sounds familiar: You are rolling along in your lesson, and everything is going fine. You get to the end, and your teacher says, “Okay, now I want you to learn this for next week.” At this point he or she hands you a new piece of music and sends you away. You look down at the piece of music in your hands and think to yourself, “Now what?” I hope this article will help answer that very question. I will present the system I utilize for learning a piece of music, be it a solo, ensemble, orchestral or conductor’s score. This is my approach to doing it and every musician has his or her way. This is by no means Gospel, but it works for me. I constantly find myself giving advice about how to practice basic technical skills. Sometimes it’s high school students who are trying to develop and reinforce good habits. Other times it’s college freshman who, throughout high school, relied primarily on natural ability but in college suddenly need several hours of practice a day just to keep up. From beginners, who need to be walked through their practice routine, to advanced players, who are trying to take themselves to their own next level, they all seem to crave direction on how to continue developing their technique.